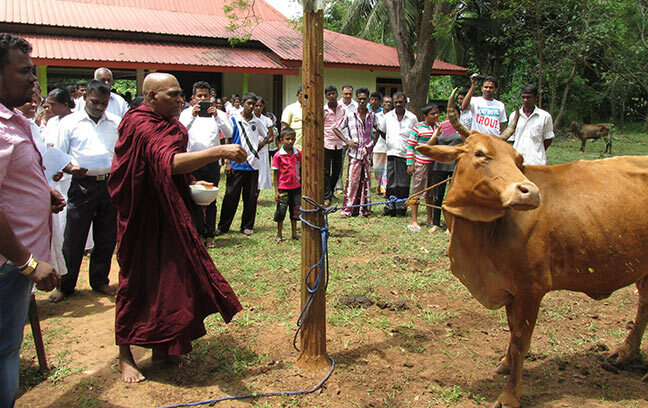 For 25 centuries Sri Lanka was a nation that had prohibited animal slaughter of any kind by royal decree. The Buddhist practices were against animal sacrifice on the premise that all living beings including sentient beings should not be killed but treated with compassion. No one ever argued against this noble declaration. 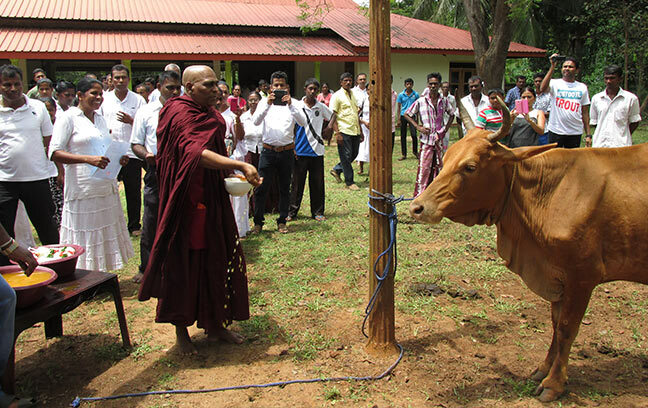 AGMS has initiated a program to save these poor animals, were tied at slaughters from death by buying cows from the Slaughtering Houses and donating such saved cows on commemorating Wesak Poya Day to farmers who can look after these animals on a strict set of conditions. 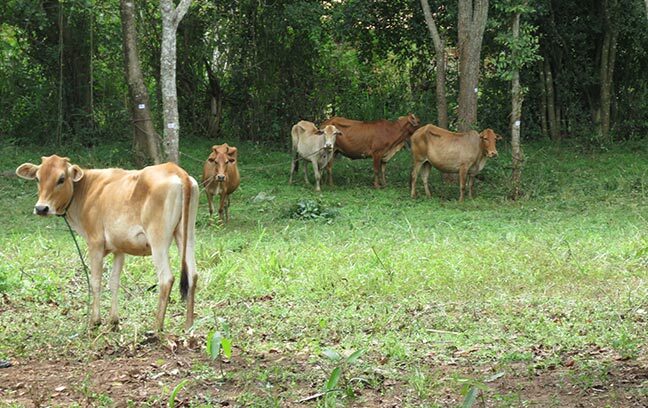 AGMS has been in a position to save around 51 cows from certain death with the generous guidance of The Group Chairman. It was a mammoth herd we collected under the above initiative. 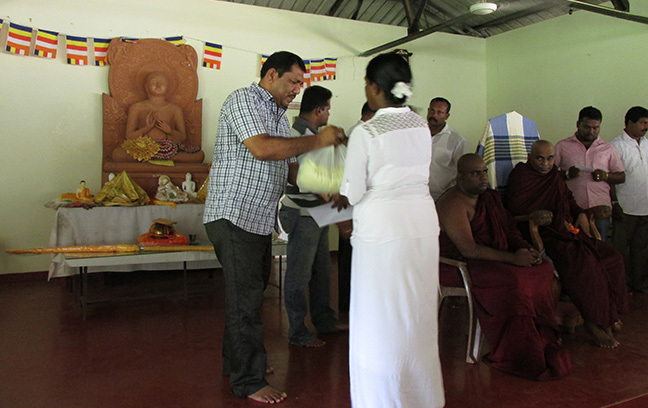 AGMS has selected the village Shrawasthi pura of Anuradhapura district with potential farmers without farming land, as the village is rocky and dried. The Chief Incumbent of Sri Bodhirukkharama temple Ven. 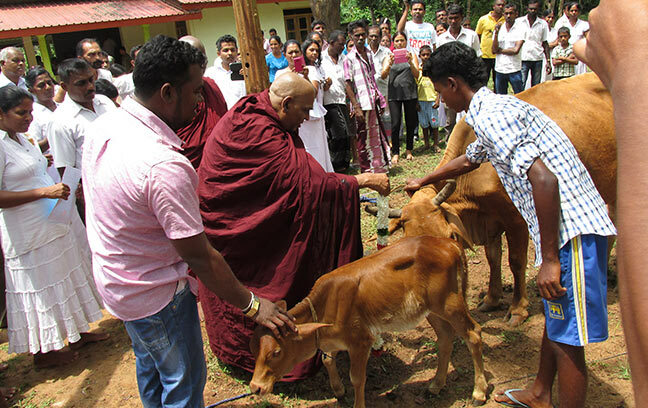 Rajangane Saddhananda Thero along with the “Dayaka Sabha” extended the fullest assistance in selecting suitable families to donate freed cows. We had a tough time with finding cows from the slaughterhouses in Medawachchiya, Wilachchiya, Thanthirimale, Habarana and many other places. Generally each cow cost around Rs.35,000/- to Rs.50,000/- (depending on the weight of the animal). 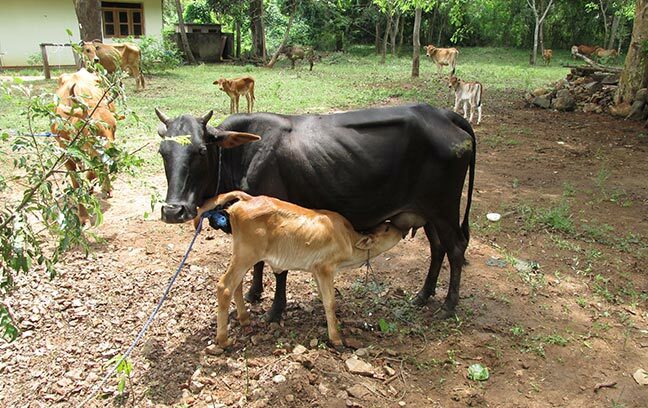 We could rescue 11 pregnant cows and 12 feeding cows through tiring effort. The highly excited recipients assisted us in organizing the rituals as the above animals were rescued under their names. The traumatized creatures looking famished and starved for days were unloaded from lorries and it was a tearing event. Surprisingly, the cows were looking comfortable with the temple environment and compassionate gathering. We experienced the noble truth of “Sympathy and empathy for sentient beings is at the core of Buddhist compassion (Metta)”.